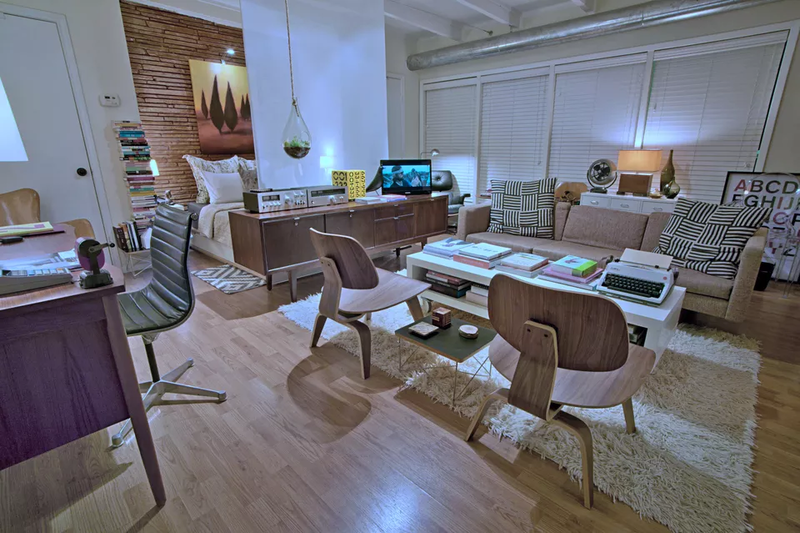 Getting the interior design right is the biggest challenge of planning studio apartments. It’s not as simple as dividing the space in half. You have to ensure that all areas feel comfortable and cozy and not cramped. This is hard, especially when we’re fitting everything in a 550 sq ft (51 sqm) apartments or smaller. Lay it all out there like how luxury hotels do. Keep it clean and cohesive. Stick to a few important pieces and embrace the negative space between. Never fill a small space with a smaller furniture. It will only make your apartment feel cramped. 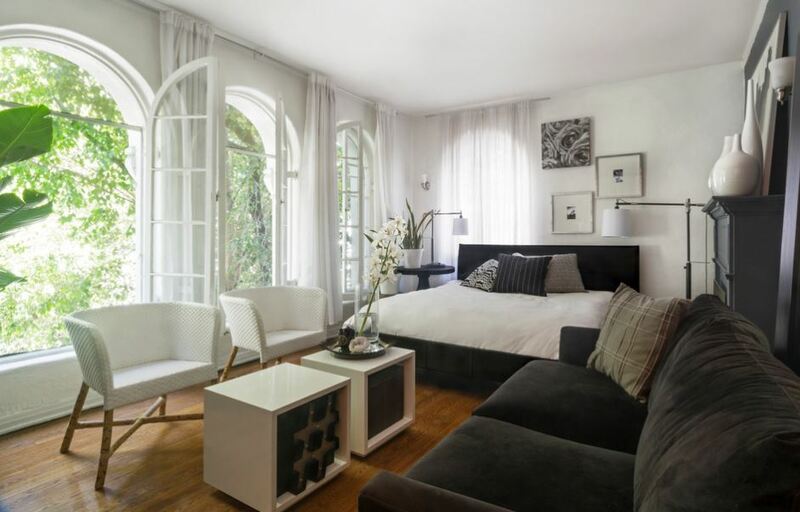 Floor-to-ceiling curtains are low-cost and efficient room dividers. It doesn’t take too much of your precious floor space too. Sliding glazed doors can separate the two areas without compromising openness. Compared to single-hinged doors, this type of door occupies a smaller floor area. To keep a seamless floor, consider sliding door models that can glide on a ceiling track alone. Also known as a knee wall, a half wall is one of the smartest ways to separate areas without enclosing one from the rest. You can build it at any height short of the ceiling. Most are about three to four feet tall. It’s usually temporary to give the homeowner design flexibility in the future. Another way to separate areas in a small apartment is through the use of decorative dividers. You can purchase laser-cut dividers made of wood or steel. If you’re not feeling the fancy ready-made dividers, try unique pieces like the weathered wood dividers below. 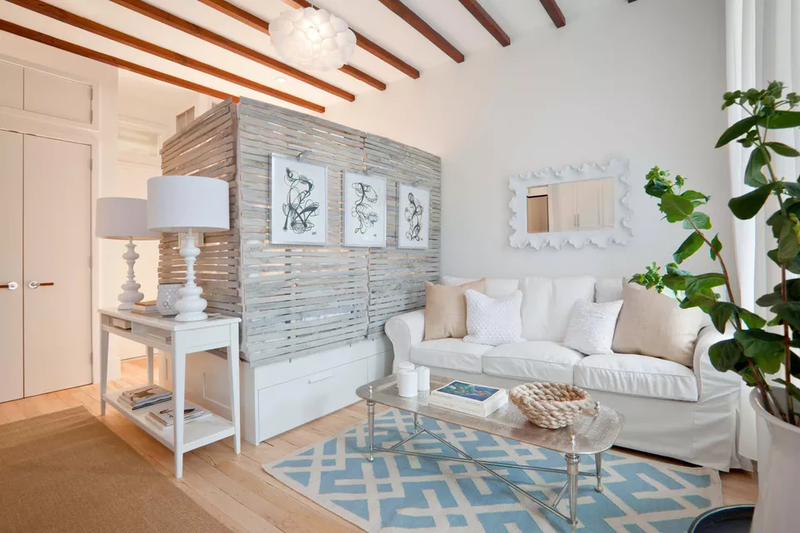 This bespoke divider brought a homey, rustic vibe in this white apartment. There are stylish bookshelves that cost less than a hundred dollars in home improvement stores. You can use these to divide your tiny studio apartment into two distinct areas. 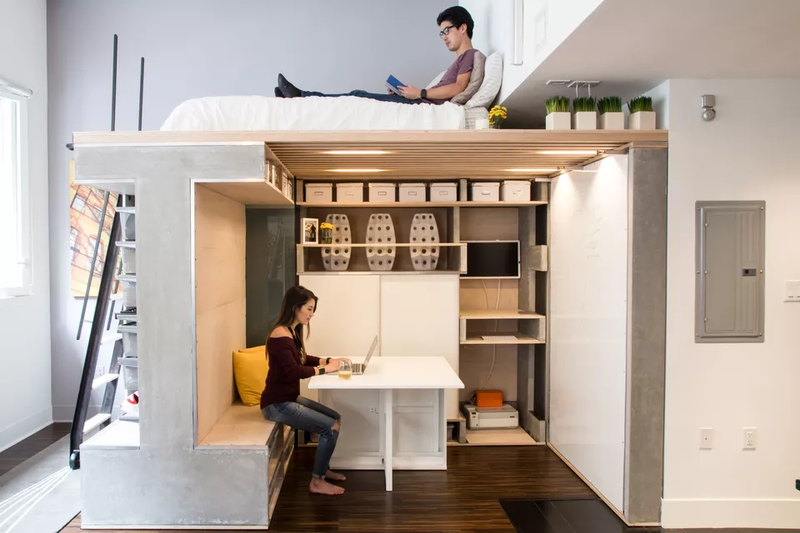 Consider this design solution if you live in a studio apartment that has limited wall space and storage. There are many styles of shelving units available in the market. Some furniture manufacturers customize the product to fit your taste and needs. We’re sure you’ll find something that suits you. 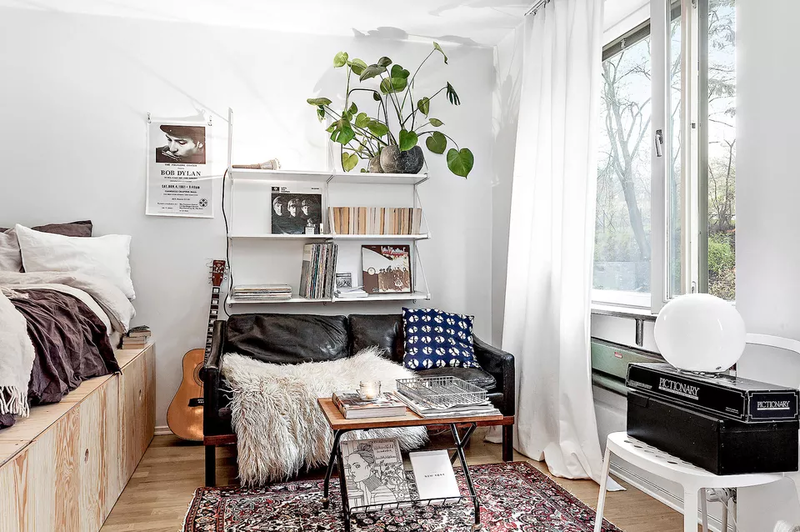 Maximise every inch of your small apartment with the help of an architect who specializes in designing tiny apartments. Here, the designers built a loft bedroom right under a multifunctional living room. 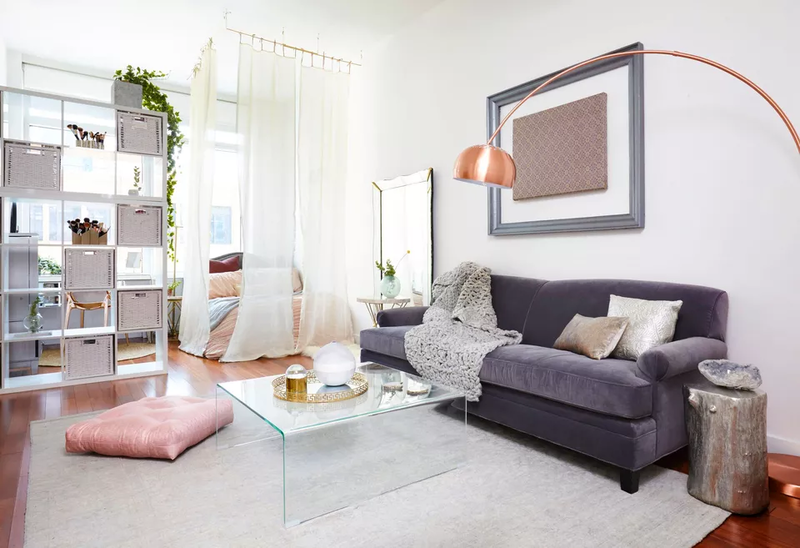 They used a few transforming furniture pieces in the living area like the foldable dining table and the concealed Murphy bed on the wall across the woman. If you’re not a fan of chunky walls, consider suspending the bed from the ceiling as you can see in this London apartment. When the designers elevated the bed, the homeowner enough floor area for a spacious living room and a corner office. They built a narrow staircase on the side to access the bed. The best part? The bedroom is underneath a retractable and glazed opening which opens up to the building’s rooftop. You can gaze at the stars every night! Murphy beds have been around for decades and it’s one of the staple choices for anyone who wants to make the most out of their limited space. 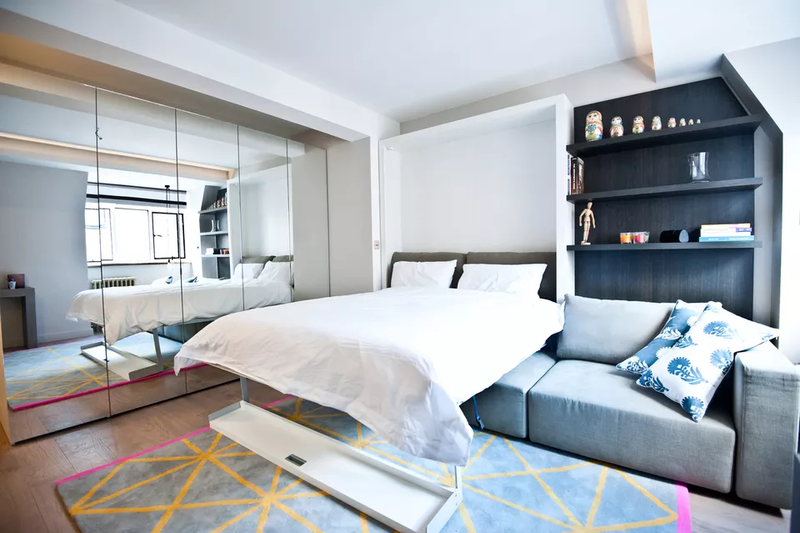 In this apartment, a wall bed comes out of a wall cabinet behind the couch. The room seems bigger because of the mirror doors of the free-standing cabinets. Earlier, we featured a bed suspended from the ceiling. Another way to elevate the bed is by constructing a platform. Lift the bed at least three feet above the floor. The varying floor height will separate the two areas, without the need for walls or dividers. 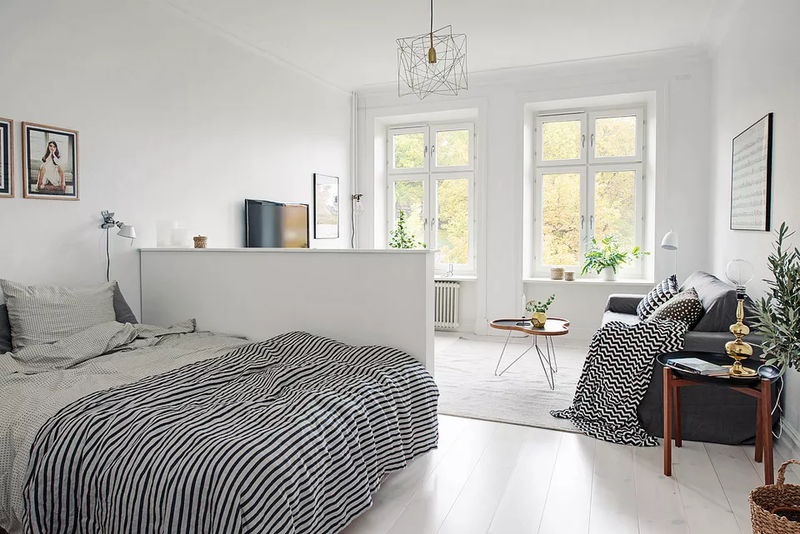 You will not need a bed frame anymore if you consider this apartment layout. Just lay the mattress on the platform and enjoy sleeping. 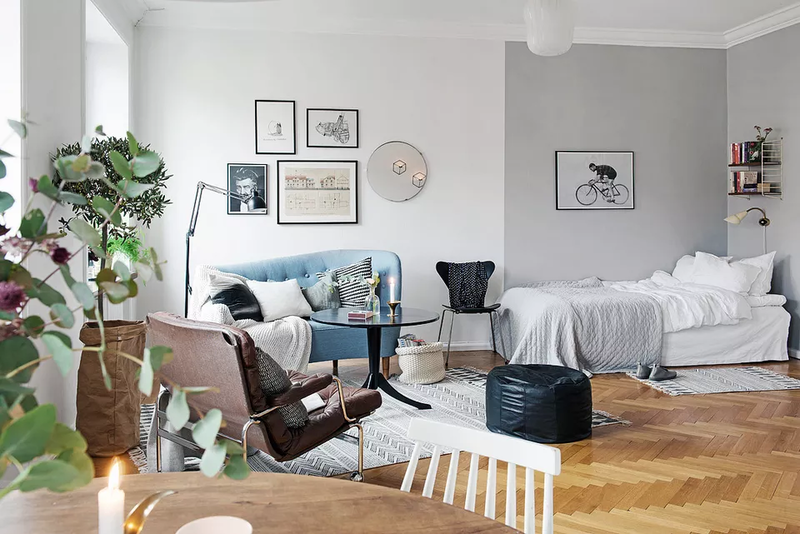 Having two-toned walls can create separation in an apartment with no walls or physical dividers, as you can see in the featured apartment below. It’s a simple and affordable design solution that you can finish in a weekend. Tip: It’s important to follow a colour palette when painting your walls with two different colours. Choose a pair that won’t become an eyesore. In this apartment, the designer used a thick fabric which serves as a projection screen to divide the room. You can watch movies and shows on the screen from the bedside or the living area. Roll up the fabric if you want to open up the apartment. Homes in urban cities are becoming smaller. 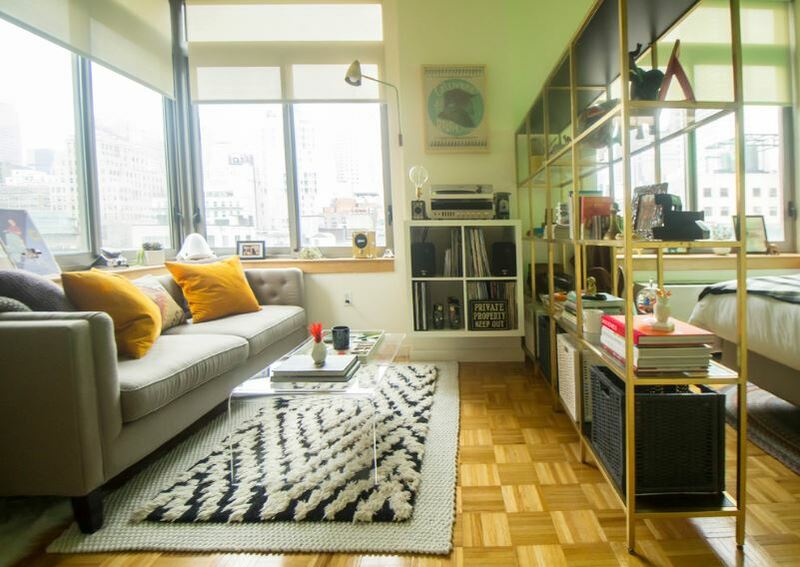 If you want to dwell in here, you have to learn how to make a small apartment work for you. We hope the design solutions and the photos included in this article inspired you to design your space efficiently. 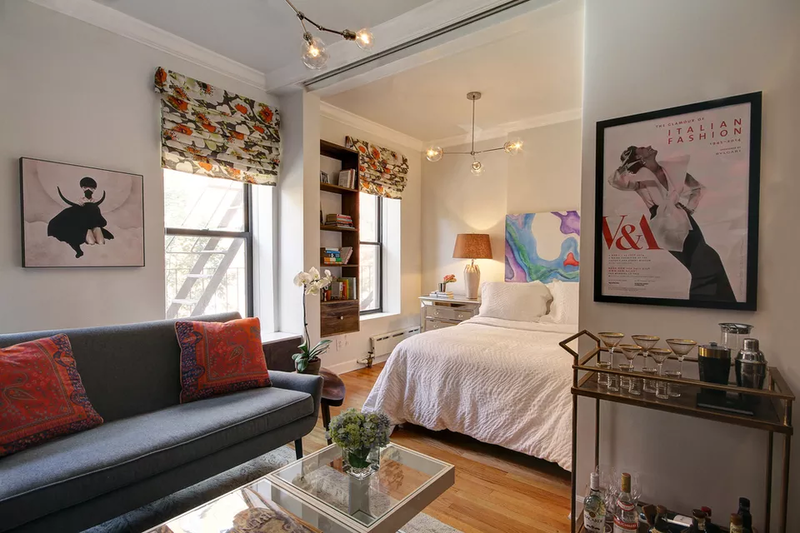 If you need help with designing your studio apartment, don’t hesitate to inquire about our architectural design services. We give FREE quotations that are obligation free! If you liked this article, please follow Superdraft Australia on Facebook, LinkedIn, and Instagram.